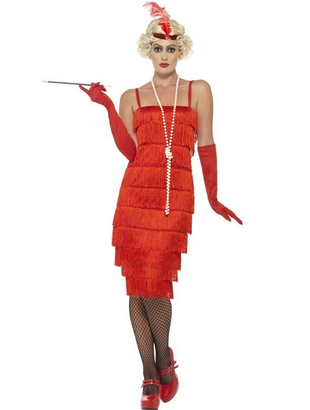 Flapper costume includes a red fringed knee length dress and a pair of long red gloves. 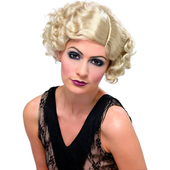 To complete the look a flapper sequin headband with feather is also included. Wig, tights, necklace, shoes and cigarette holder may be purchased separately. 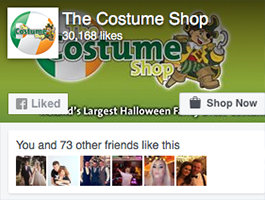 Costume is also available in larger sizes in our Plus size section.